Sculptor Lorraine Botterill has produced a series of carved finger posts to help guide walkers along the green route in Grin Woods. The finger posts represent some of the things that you might get to see on a woodland walk. 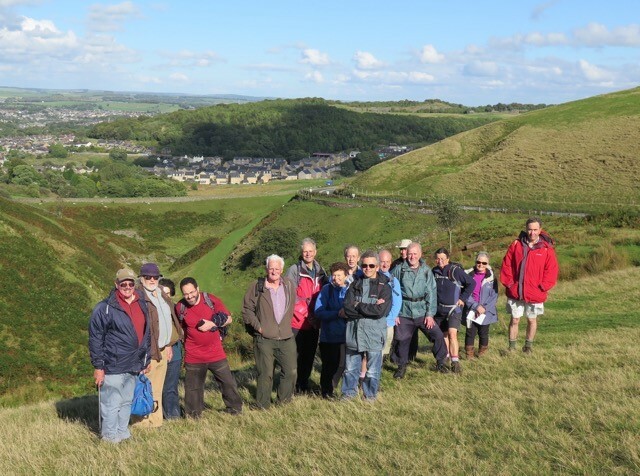 Dr Alan Robert's BCA Director and Chair of the Places and Spaces Group will be leading a walk to trace the history and development of the Buxton Coalfields. The walk will be on Thursday 7th September and more details can be found on the link below. 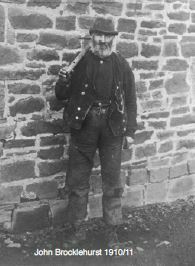 In their excellent book, ‘The Coal mines of Buxton’ Alan Roberts and John Leach make the claim that the mining country around Buxton had some of the harshest and toughest working conditions in the country. 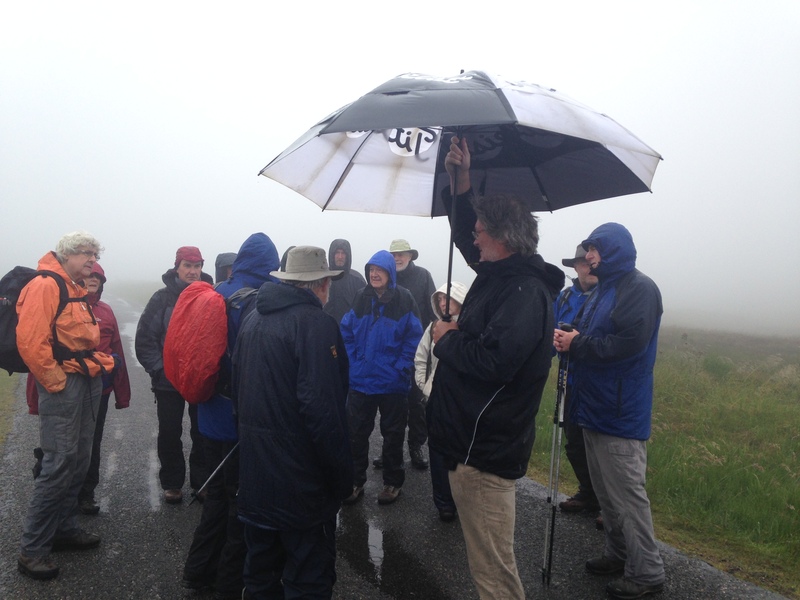 Judging by the awful weather on Sunday 26th July, it was easy to believe it. 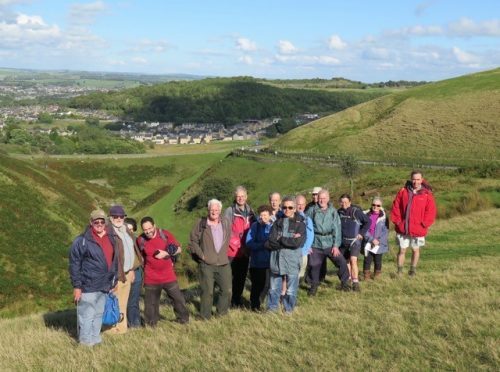 It was a tribute to the dedication and hardiness of the 31 Buxton Civic Association members and their walking guides, Lyn Noble and Alan Roberts, that the walk took place at all. 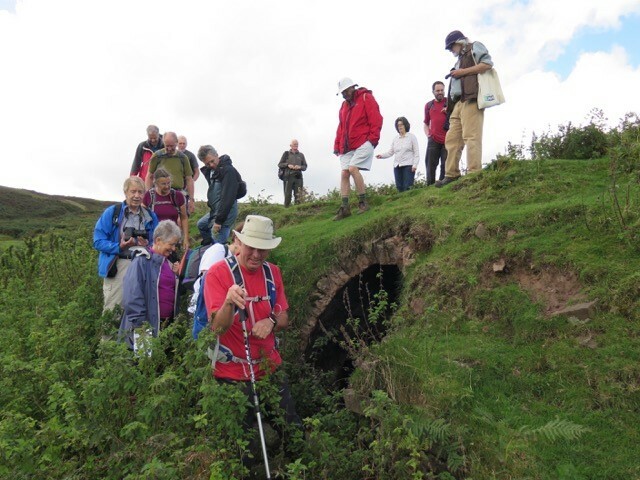 The guided walk gave members and friends a fascinating glimpse of the significant coal mining industry that went on, on and under the moors above Buxton. 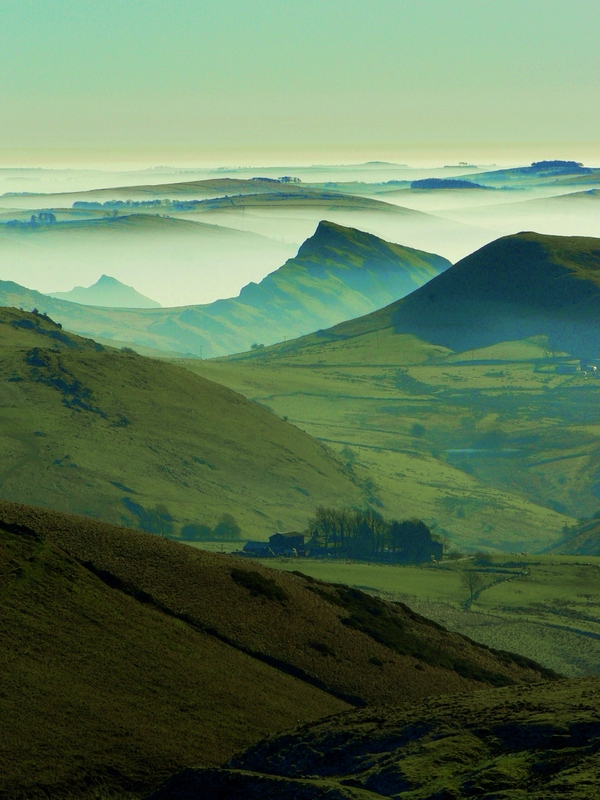 Without expert guidance it would have been hard to see and to understand the extent of the workings in the landscape, as now only the ghost of traces of what went on in the hillls remain. 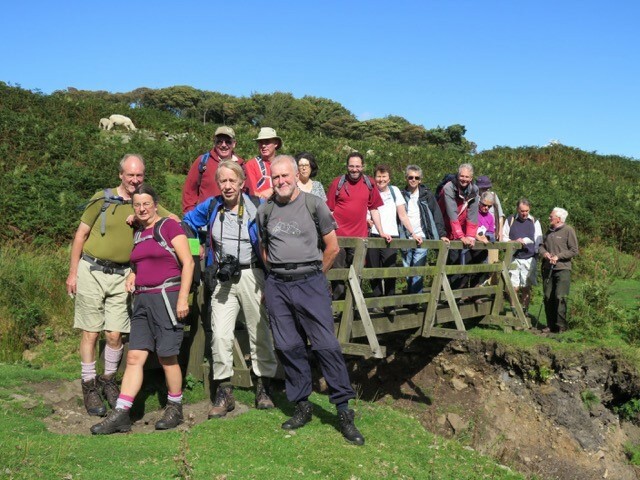 Starting at Cistern’s Clough, and making its way across the bleak Moorland and hill country above Buxton, the trail finishes at the Dukes Level, Ochre brook. The trail traces the origins of coal mining from the 16th century, right up to the closure of the last commercial mine in 1919. 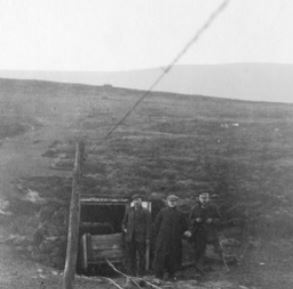 Now there is very little trace of the workings left, but with some expert guidance and a little imagination several features were revealed and it became clear that the landscape was littered with disused workings, mine shafts (now sealed), and traces of the raw material itself, albeit of a very poor quality. The licenses for the mining were granted by the Chatsworth Estate. The coal that was extracted was mainly used for lime burning, and much of it would have found its way to Grin low. 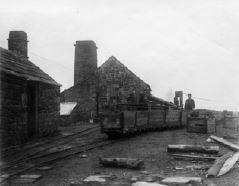 Improvements in transport links, such as the development of the canals and railways, and the increasing difficulty of extracting the coal from the workings due to flooding, meant that it became cheaper to use better quality coal from deeper mines elsewhere. 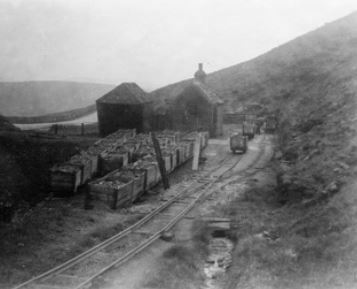 The coal mines of Buxton ceased and fell into disrepair. 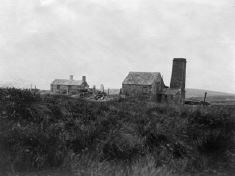 The photographs above are reproduced with kind permission from Frank Emerson. The guided walk is based upon source material researched and provided by Alan Roberts and john Barratt. Whenever there is snow on the ground and I am walking in the woods, usually Grinlow or Corbar, this poem always comes to mind. 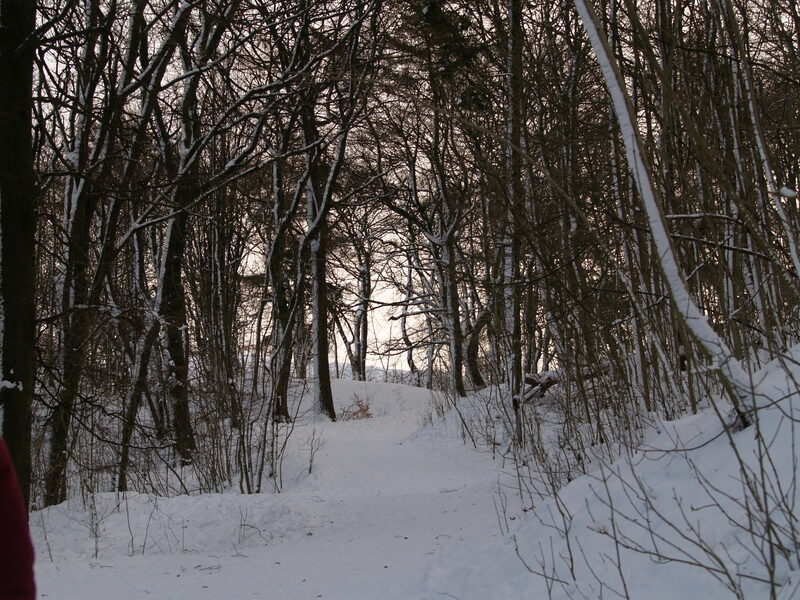 Perhaps Robert Frost's best known work, the poem is based on Frost's own experience in returning home from a market during a long and cold New England winter. Frost had had a less than successful day and had come home empty handed. There is a wistful feel to the poem, a desire to linger and delay the trip home perhaps? However his horse shakes him from his thoughts and aware of his responsibilities he sets of to finish his journey. Robert Frost, “Stopping by Woods on a Snowy Evening” from The Poetry of Robert Frost, edited by Edward Connery Lathem. Copyright 1923, © 1969 by Henry Holt and Company, Inc., renewed 1951, by Robert Frost. 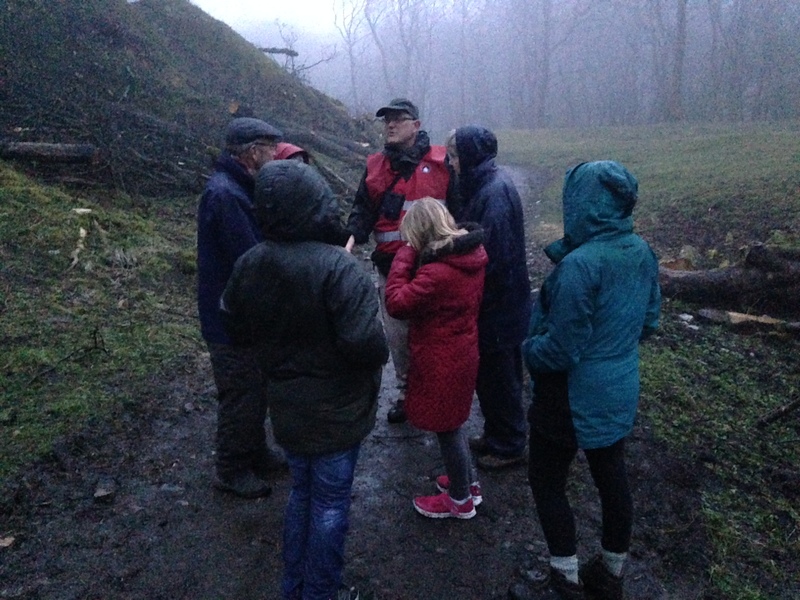 If you go down to the woods today you might be in for a big surprise, as Buxton Civic Association have continued the work to improve the access to their woods by funding a footpath restoration project to Buxton Country Park. 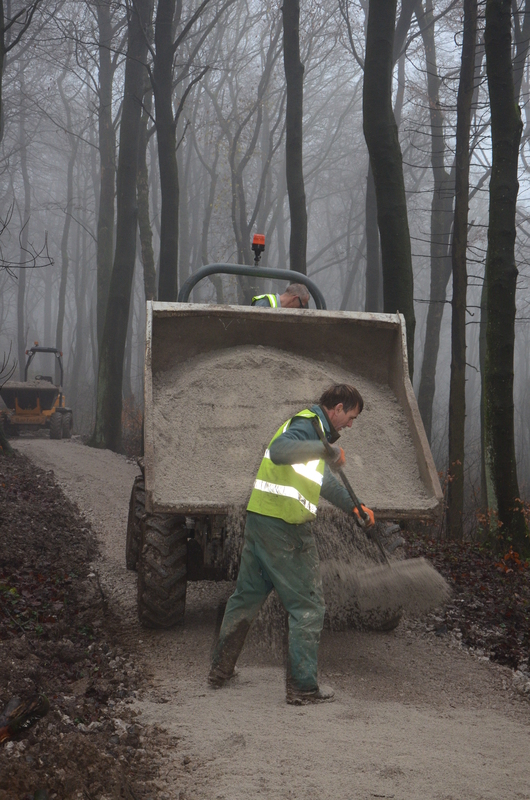 The pathways, which are popular routes through Grin Low woods, have become heavily eroded over the years causing many new minor paths to form which threatened to damage the delicate woodland flora and disturb wildlife. 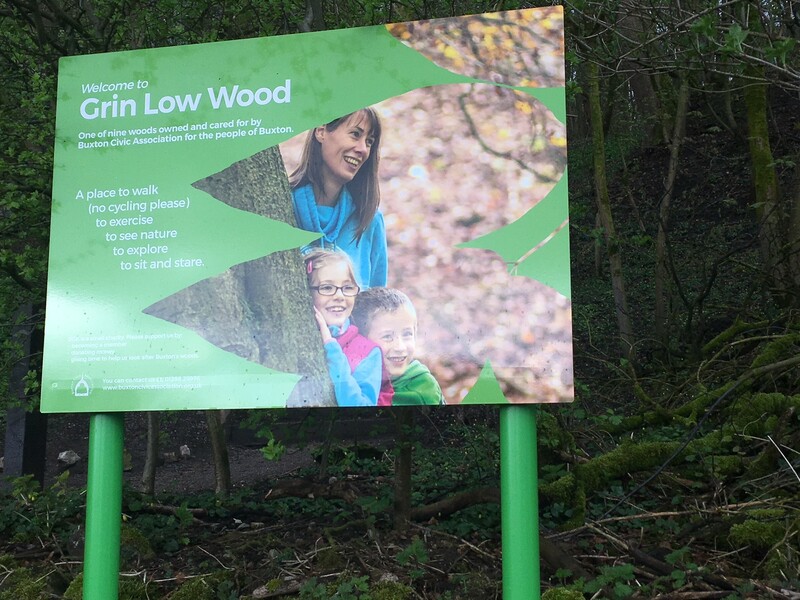 Buxton Country Park woodland manager Alan Walker said ‘this will greatly improve access for visitors and local dog walkers, as well as enabling us to create and manage quiet sanctuary areas of woodland for wildlife to thrive’. 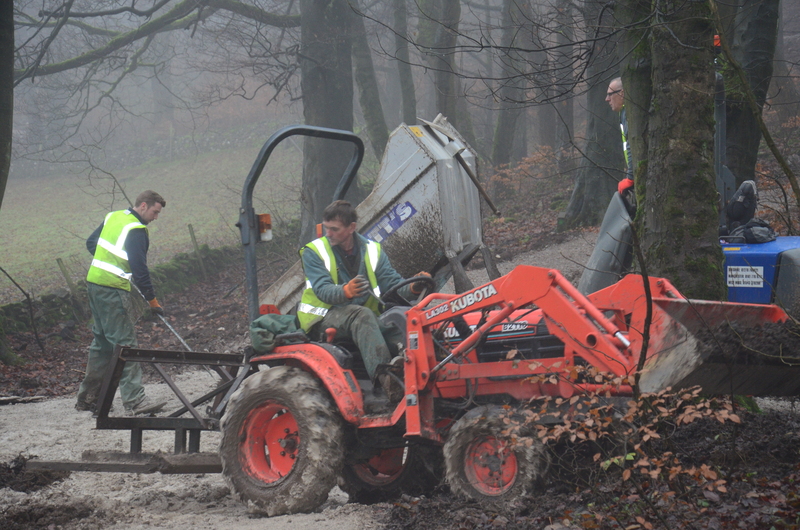 The hard work on the ground have been done by local landscaping expert Martin Wragg and his team from Oaktree landscapes who have previously completed path projects in Corbar and Sherbrook wood also funded by Buxton Civic Association. The new pathways take an alternative route from Poole’s Cavern through the lower part of the country park before rising towards Solomon’s Temple and Grin Low summit.